Cherisse H. Cleofe joined Kiesel Law LLP in 2014, where her practice focuses on mass tort litigation against pharmaceutical companies and medical device manufacturers. 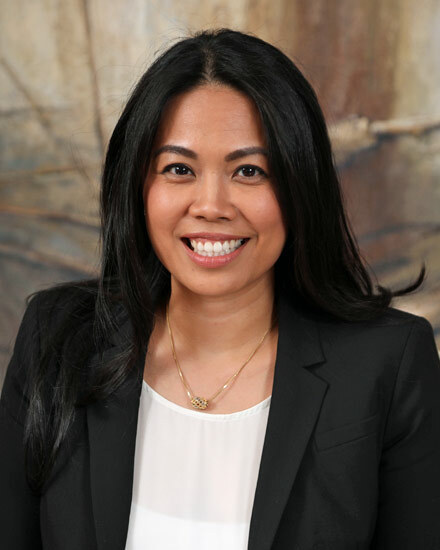 Prior to joining the firm, Ms. Cleofe was involved in practice development at JAMS. She was also a volunteer attorney at the Legal Aid Society of Orange County. Ms. Cleofe earned her B.S. in Management Science from the University of California, San Diego and her J.D. from the University of San Francisco School of Law. While in law school, she served as the President of the Student Bar Association, Co-Chair of USF SBA Diversity Committee, President of the Women’s Law Association, and Secretary of the Pilipino American Law Society. As a member of the USF Advanced Trial Team, Ms. Cleofe represented USF at the ABA Labor Law Section Trial Competition and the Texas Young Lawyers’ Association National Trial Competition. She participated in the USF Intensive Advocacy Program, USF Employment Law Clinic, and USF International Human Rights Clinic. As a Frank C. Newman Intern for the Human Rights Advocates, Ms. Cleofe was an advocate at the 19th Session of the UN Human Rights Council. She also researched development aid for ALBOAN, a Spanish NGO in the Basque region of Spain. Ms. Cleofe was a recipient of the Student Bar Association Award, Blum Fund Scholarship, and Zeif Award Scholarship. Ms. Cleofe has been an active member of the State Bar of California since 2013.